So…what does a reporter-turned-international parenting expert know about consumer insights? Enough that one of the world’s Top 20 brands asked her to give a training seminar to its marketing team. They call her their secret weapon. 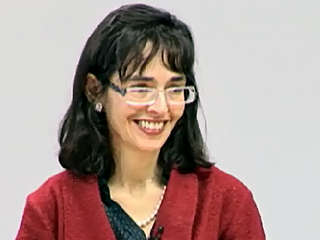 Lenore Skenazy spent 14 years as an award-winning reporter at the New York Daily News. That’s where she learned how to gather the surprising insights others overlook. Since then she started the book and blog Free-Range Kids, and has been lecturing everywhere from Audi to Microsoft to JWT, on topics ranging from parenting trends, to interview techniques, to what makes our culture tick — and consumers bite. Surprising new ways to find consumer insights. A painless technique for writing these up, so the insights don’t get buried. A peek into the 21st century parenting soul. If your department could use a dynamic, transformative seminar on how to observe, probe and write like a reporter, or if you would like Lenore to observe your consumers and report her insights, let’s get started!